For hard to fit patients that prefer to wear contact lenses, however, there are options available that can provide comfortable and effective contact lens wear. This will require a specialized fitting with an eye doctor that is an expert that knows your condition and the various products available to find the right match for your specific condition. 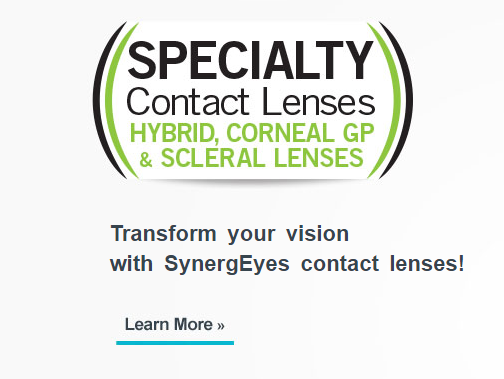 The SynergEyes® family of lenses offered at our practice in San Diego, CA fulfills the original goal of providing a solution that addresses the full continuum of vision needs by providing excellent visual acuity and all day comfort.